Today is the Feast of St Matthias in the Roman Catholic Calendar (post 1969), the Church of England's Common Worship, and some Lutheran churches. The traditional feast day is 24 February, but in many modern calendars it has been moved to associate it with the Ascension. And because readings from the Acts of the Apostles occur during Easter in many traditions, the story of Matthias' inclusion in the apostles makes sense in this season. At this time Peter stood up in the midst of the brethren (a gathering of about one hundred and twenty persons was there together), and said, “Brethren, the Scripture had to be fulfilled, which the Holy Spirit foretold by the mouth of David concerning Judas, who became a guide to those who arrested Jesus. For he was counted among us and received his share in this ministry. ... Therefore it is necessary that of the men who have accompanied us all the time that the Lord Jesus went in and out among us—beginning with the baptism of John until the day that He was taken up from us—one of these must become a witness with us of His resurrection.” So they put forward two men, Joseph called Barsabbas (who was also called Justus), and Matthias. And they prayed and said, “You, Lord, who know the hearts of all men, show which one of these two You have chosen to occupy this ministry and apostleship from which Judas turned aside to go to his own place.” And they drew lots for them, and the lot fell to Matthias; and he was added to the eleven apostles. 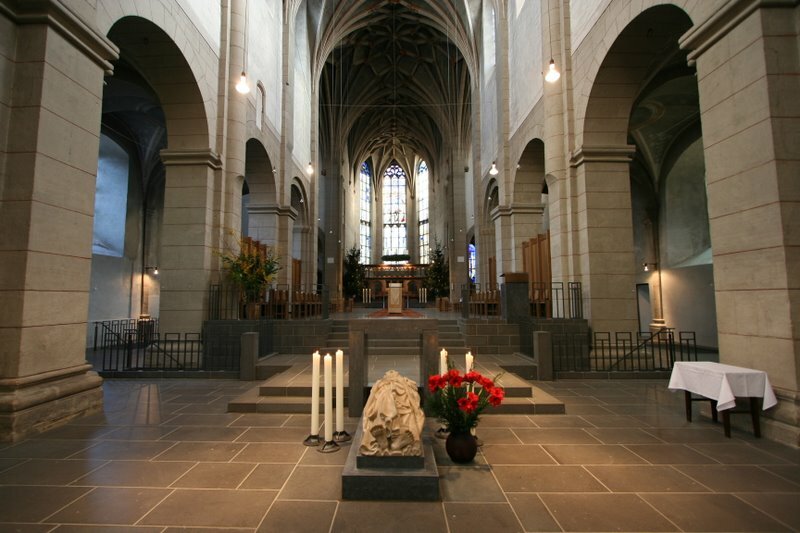 Here are photos of St Matthias Abbey, Trier: a minor basilica with the tomb of the Apostle (relocated 12th c).